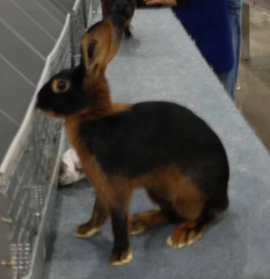 Welcome to the Indiana Tan Rabbit Club website! Our club was formed with the purpose of working to promote the Tan breed in Indiana and surrounding areas. We are an active club that hosts several specialty shows throughout the year. We also hosted the 2012 and 2013 National Tan Shows. The 2012 National Tan Show was the first national to include youth educational contests. Despite our name, we are chartered as a regional club and have many members from out of state. We welcome members from all parts of the country and abroad. If you are interested in more information about our club, we encourage you to visit the various links in the navigation bar.